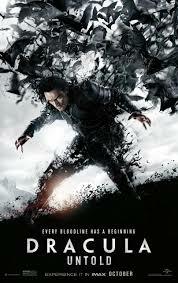 Dracula Untold (2014) had one of the worst trailers in recent memory, so I was not exactly clamouring to see it. 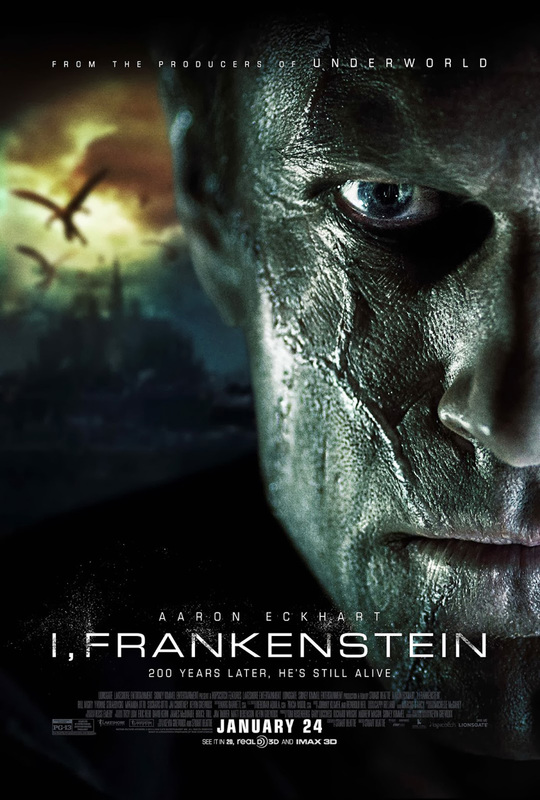 After hearing some positive murmurings and that the film would function as the kick-off to a Marvel style shared Universal Monsters universe, I thought I might as well give it a go. Even the biggest horror fan is probably a little jaded by Dracula films. It is refreshing then that Dracula Untold is not meant to be an adaptation of Stoker’s classic in any way. Rather it is an origin story, based exceedingly loosely on the real life Vlad the Impaler, who also inspired Stoker to some degree. So at least we are not getting the exact same story beats that we always do. The first two thirds of the film definitely supported my initial fears though. It’s all not very good, by the numbers character building with an unengaging and totally lightweight narrative. Garbage dialogue delivered in a strange mish-mash of accents adds to the unprofessional and unenjoyable feel of it all. 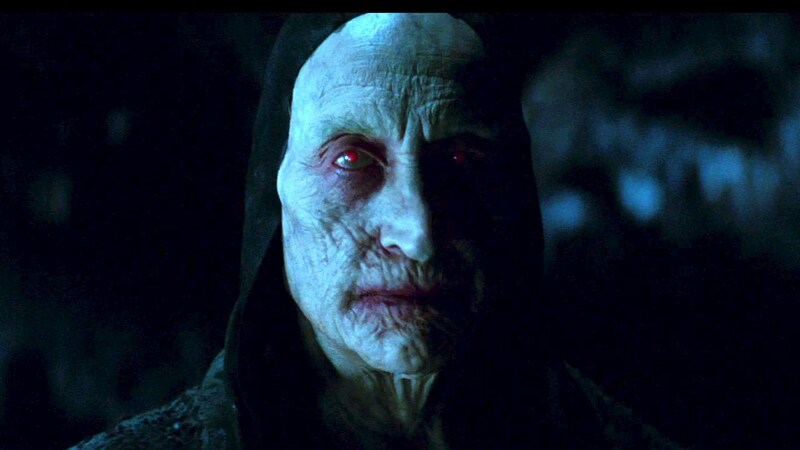 The one element of the first part of the film that is at all effective is the character of Master Vampire played with glee by Charles Dance. 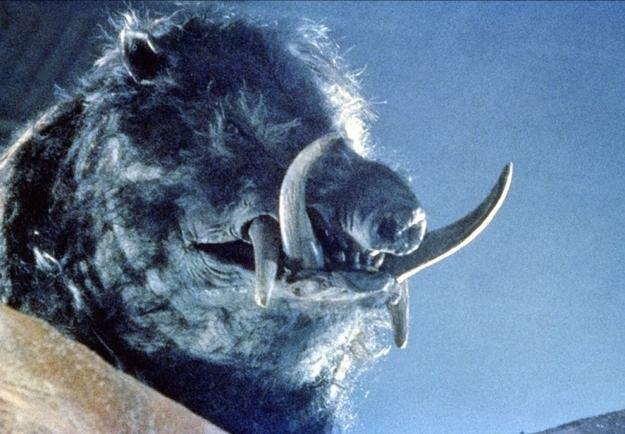 With the practical make-up a nice change to the CGI flowing everywhere else, there is a real monstrous look to him. The bargain made between the Master Vampire and Dracula satisfyingly sets up the reasons for Dracula choosing to be a vampire. Whilst this scene at the time does not carry the dramatic heft it really should, this choice does resonate reasonably well throughout the film. The Master Vampire’s menace and construction provide the film with some instant mythology, which it is otherwise sorely lacking. 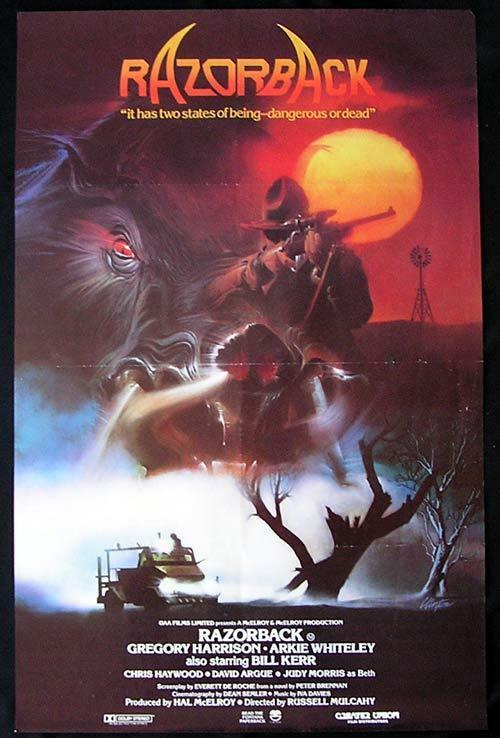 Then out of nowhere, the final third of the film becomes a crackling origin story. A lot of this is achieved by a big payoff moment, where Dracula discovers he is not as all-powerful as perhaps he thought, which sets him on the path shown in various other interpretations of the novel. This is a distinctly ugly, and at times cheap looking, film. The CGI is woeful and will remind you of just how bad CGI looked back in the late 90s. There is an over-reliance on it during action sequences as well. Which is frustrating because the best feeling sequences are the more grounded sword-fighting battles. Though having said all that, there is one rather cool moment toward the end of the film where Drac summons and controls a huge pack of CGI bats and sends them toward his enemy’s army. That brings us to one of the other great weaknesses of the film – the villain. Given Dracula is the hero (of sorts), the film needed to create a new villain. In Mehmed played by Dominic Cooper, the film fails spectacularly. He is such a nothing character, bringing no threat whatsoever, no level of physicality and no real story as to why he is so hell-bent on taking on Dracula. The character is a miss, not helped by the strange, pretty poor, performance from Cooper. Supposedly a king, he is one with zero charisma and gravitas, as seen in his ‘rousing’ speeches toward his troops. So flatly are they delivered, that the extras on the film seem to forget they are meant to be reacting with a level of fervour. 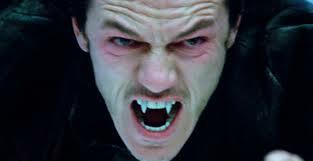 Related beermovie.net articles for you to check out: Trailer for your Weekend: Dracula Untold and Dracula (1931). 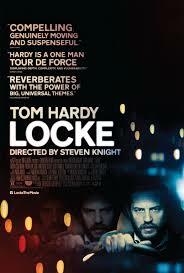 You probably know of Locke (2013) as the Tom Hardy driving around alone in a car film. In some ways that is pretty accurate. On a surface level that is what the film involves and if it was a different person in the driver’s seat it would be a very different and probably not as good film. But the film also goes beyond the gimmick it is based on to be something a little more satisfying. Essentially, the film features Tom Hardy’s Ivan Locke driving in pretty much real time to attend the birth of his child. A child that is the result of an ill-advised affair he had whilst away from home on business. The story is driven forward by a raft of phone calls that Hardy has as he drives. He talks to his bosses who are infuriated that he will not be there for a high risk day of work, his kids, the woman having his child and perhaps most tellingly his wife. I have heard Locke described as a thriller which I don’t really think it is. But considering the film through the prism of thriller tropes is an interesting way to approach it. Especially as the ‘thrills’ come from much more domestic and relationship based places, rather than the guns and high stakes threats we generally expect. At times the film plays like a tribute to the purity and simplicity of filmmaking. When Ivan tells his wife why he is making an unexpected road trip is one such moment, with Hardy and the unseen Ruth Wilson conveying all of the emotion that the scene requires and then some. No explosions, no nothing else required. Of course a huge amount of the success or otherwise of a film with a concept such as this is the strength of Tom Hardy’s performance. Luckily he seems close to incapable of being poor onscreen and this film is no different. He brings everything he has to this role, perhaps knowing that the whole film rests on his shoulders. There’s an awesome accent, delivery that emphasises the dry humour of the script and a face that conveys the emotional pitch of the narrative without ever feeling as though Hardy is reaching to get it across. The other aspect of the film that is so fundamental to it working is the script. One approach to a high concept film such as this is to just have it be a 120 minute. But rather than have the storytelling be as stand-alone as that, the script delivers an entire character arc for Ivan all whilst he is sitting in his car. We see him grow, see him reflect on his past and decide on his future in a very real, very satisfying way. The only aspect of the script that jars is the couple of instances where Ivan is talking to himself or his deceased father. There is nothing particularly terrible about these parts, but it seems like an unnecessary flash of melodrama when the standard approach is working so well. Related beermovie.net articles for you to check out: Devil and Cheap Thrills. Though November was a little up and down in terms of my writing output, for the same reason it was actually a very good month in terms of viewing numbers. Blowing out my back meant a lot of time lying on the lounge room floor watching flicks which I guess played a part. A few absolute cracking 2014 releases that are amongst my favourite of the whole year in this lot. Though there were a couple of beloved recent releases in here where I just did not see the hype at all. Two Days One Night (2014), The Dardenne Brothers – I found this to be a very tough, raw and brutal watch. Cotillard’s depiction of depression and anxiety is heart-wrenchingly accurate. Actually hit very close to the bone for me. She may well be the best actress in the world right now and I’m not even sure who is second. Initially I found the reactions of those she chatted with – essentially asking them to give up a 1000 euro bonus so she could keep her job – hard to believe. But really, the way depression is still perceived in our society and the way some people believe they must trample others to get what’s theirs, it rang very true. Burden of Dreams (1982), Les Blank – So great to see a young(er) Werner Herzog talk about his craft and the inspiration behind Fitzcarraldo (1982). In the end, this plays like an incredible historical document of borderline artistic madness, convoluted tribal politics and boundaries that probably shouldn’t be broken to make a film. This is the eccentric, persistent and treading that line between genius and insanity that we all love about Herzog writ large. Also amazing to see him breaking down the meaning of the film. Saboteur (1942), Alfred Hitchcock – Hitch has such an eye for a shot. Recalls the Lumiere Bros in that respect, a purity in some ways to his work. This is a pretty film, even for him. The script is a little clunky but there is plenty of nice, vintage intrigue in the set up. Also a fair bit of social commentary as the rich old dudes get away with stuff whilst the working class get screwed over. It wanes a little through the middle, but there is some incredible tension throughout. And it finishes with a couple of classic set-pieces in the final act, especially the one atop the Statue of Liberty. Joe (2013), David Gordon Green – This is all Southern, decrepit, gothic and gritty. It’s the South where everyone is a full-blown alcoholic and flashes of violence are just around the corner. It is in some ways a slight story which prioritises themes – manhood, the concept of work, violence in society – in a way that is actually satisfying and leaves you not really minding the lack of story. Even if it could have handled more focus on the central relationship, this dark film is worth watching for the thematic approach and tops central performances. 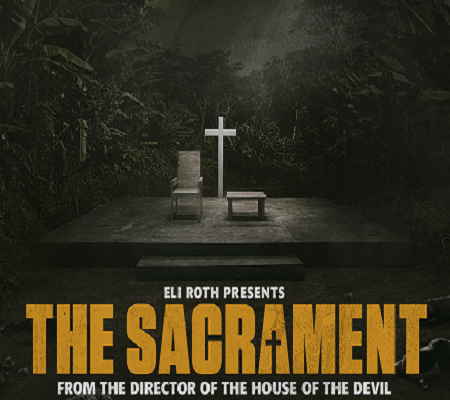 The Sacrament (2013), Ti West– Knew very little about this going in and it totally blew me away. So grounded, the use of real life company Vice, the sharply shot faux-doco style that never feels forced and a well written script that never feels overwritten. Guess not a horror film in the usual sense of the world and never went where I was assuming it would. There was an extended stretch late in this where I actually had a physical reaction to what I was seeing, fists clenched and mouth wide open. Deeply creepy, foreboding and close to the most compelling film of the year. Nebraska (2013), Alexander Payne – Bruce Dern is really something and it is almost to the film’s detriment, because he puts everything else in the shade. But there is a fair bit else to enjoy here, from the refreshingly artful black and white shooting to the quirky script that nails what it is like to watch someone age as well as the pain of dealing with idiots, no matter the ages involved. I actually found it to be a lot more boisterous and ‘laugh out loud’ than I was expecting. A film that manages to be sweet without being sentimental. 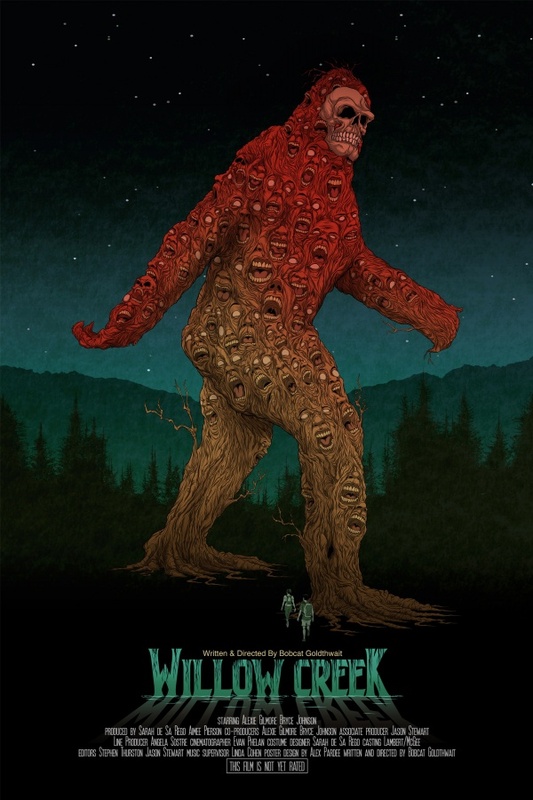 Willow Creek (2013), Bobcat Goldthwait – In a slight year for horror, this stands out as a cerebral little film. Setting up the equipment is a funky way to establish the found footage confines of the film. The central couple has a really good rapport that doesn’t feel forced. It is a fun, then tense examination of the bigfoot mythos. Well crafted and creepy, especially one extremely long scene of them in the tent that should be so boring but is totally freaky. The female lead Alexie Gilmore gives a really effective horror performance. Tops ending too, paying off the build without ruining the vibe of what had come earlier. Draft Day (2014), Ivan Reitman – I liked this a whole lot more than I think I should have. It is a slick, glossy film. But it manages to give an insightful, if very mainstream, look into the mechanics of building a sporting team. The cast are all really good at what they do, and it is no different here with Chadwick Boseman, Kevin Costner, Jennifer Garner and Dennis O’Leary all being fun to watch do their thing. Costner especially fits the role of grizzled, under pressure sports boss like a glove. It’s utter fluff, but well made and easy to watch fluff (at least for sports fans). Under the Skin (2013), Jonathan Glazer – The focus early is on quiet, sterile sci-fi imagery in a distinctly Scottish setting. The interesting sound design drives proceedings along. To see people against the sheer black and white imagery and see how that evolves through the film is pretty wondrous. Though the exceptionally slow pace and not particularly coherent storyline does mean that the impact is at times lessened. But when it isn’t, the horrifying existential terror elicited is powerful. Be prepared for the ethereal, minimalist and hard to grasp narrative though. Didn’t all work for me, and much of the last act is too ponderous. But it will make you think. Winter’s Tale (2013), Akiva Goldsman – One of the most maligned films of recent times and I think pretty harshly so. This is a nice piece of magical realism I think. Perhaps that is a genre that just doesn’t work for a lot of people. There is a bunch of really cool imagery though and some nice sentimentality. The good type of sentimentality. The cast is good especially Russell Crowe, hamming it up no end. There is a lot of over-acting in this, but just like the sentimentality I think it actually works given the style of the material. The combo of the very real and the very fantastical is something I found a little refreshing. 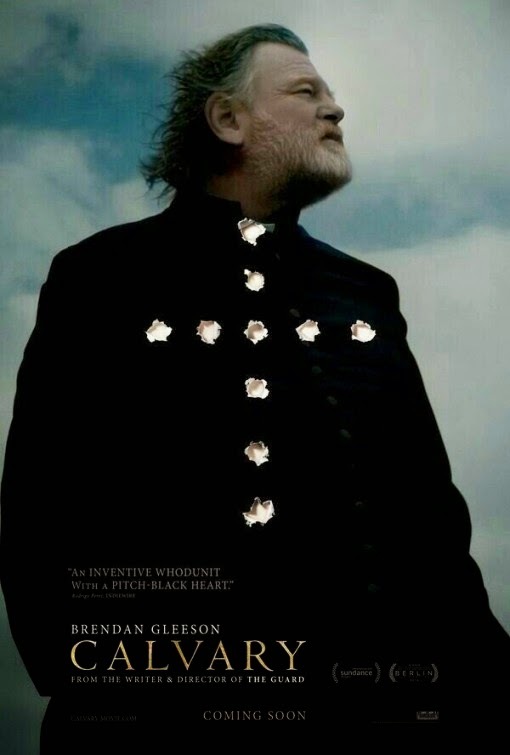 Calvary (2014), John Michael McDonagh – This was very different to what the trailer advertised. It is one of the blackest comedies I have seen in a long time. Refreshing the way it deals with religion. Brendan Gleeson’s priest, when confronted with a person who was raped by another priest, responds that he has no idea what to say to that. Gleeson is a powerhouse and this director/star team continues to excel. It’s not an easy watch, but this is a damn clever film. They’ve actually taken the time to write something complex about ‘the church’ and its role today. A dense script geared at painting an incredible portrait of a man of faith. Challenging and oh so dark. John Wick (2014), Chad Stahelski – Bloody hell what an action flick. One of the best of the past half decade I think. Reminds you of just how great a straight up action flick can be. Keanu and John Leguizmo lead an excellent cast. Reeves especially is refreshing, following some tepid efforts (including one below). Put simply, if you love action films, this is the must see action film of the year. Evangelion: 1.11 You Are Not Alone (2007), Hideaki Anno– Anything Evangelion seems to be pretty iconic on the anime scene. This was a like not love from me, perhaps due to the fact that I have not seen any of the series that precedes this film. But the art and visuals, especially the mech battles and cityscapes are impossible not to love, as are some of the age old ideas explored. A little flat in terms of stakes and the human animation is poor. Gets by on the visuals though. Interstellar (2014), Christopher Nolan – A flawed, unwieldy behemoth of a film that contains three or five of the most exhilarating cinema moments of the year. The science is mind-bending, but never dense for the sake of it. Visually it’s as pretty and assured as sci-fi comes. I was awe-inspired and just wish I could have seen it on Imax. Can see why it is so divisive as it is just so plot heavy. Cleverly written though and it challenges on a host of levels – narratively, existentially. One of my favourite scores of recent times too. Incredibly emotional for sci-fi this dense as well. They don’t really make them like this anymore. Perhaps they never did. Force Majeure (2014), Ruben Ostlund – This focuses on a very interesting concept, turning on a single moment – how a husband (and father) reacts in a genuine life and death scenario. Unfortunately I was not so enamoured with the rest of it. Too much of it slips into one of those couples arguing films that don’t really enlighten very much. That was the dominant outcome for me, over and above the strong female lead performance and some good sequences examining the main dude’s actions. X-Men: Days of Future Past (2014), Brian Singer – I do feel that you can cram too many X-Men into one film, which is one issue here. They don’t all feel as unique and special as they should. There are some cool plot points but I just had a lot of niggling issues with this one. It’s a strangely ugly film and tonally felt off, at various times too silly or too serious or too sentimental. The best character is Quicksilver and he is strangely dispensed with after the film’s best sequence. A strangely flat experience, which is a shame because I like how it is trying to bring complex comic book continuity to the big screen. Oculus (2013), Mike Flanagan – Evil mirror… got it. This was such a nothing film for me. Flashback structure totally sucked the mystery out of the story. The performances from both leads are really poor, the plot is totally all over the shop and worst of all the film has zero atmosphere or good ideas. One of those horror films where the characters have to make the most illogical decisions imaginable for ‘terror’ to ensue. At times, laughably bad. 47 Ronin (2013), Carl Rinsch – Japanese infused samurai silliness from the get-go. Which is fun for about 15 minutes and then it is just a little all over the shop. Some of the CGI monsters look pretty rad, even though there is absolutely no reason for them to be there. They clearly spent way too much money on a film that was never going to be a hit. Terrible expositional dialogue abounds and the character development of our supposed heroes is so thin as to be non-existent. I have no idea what this film was trying to be, but I am pretty sure it failed. Gone Girl (2014), David Fincher – What an utterly silly film. I’m pretty bemused by how beloved it is. There is a whip smart script… for about ten minutes. Reznor’s score is phenomenal… for the first five minutes. 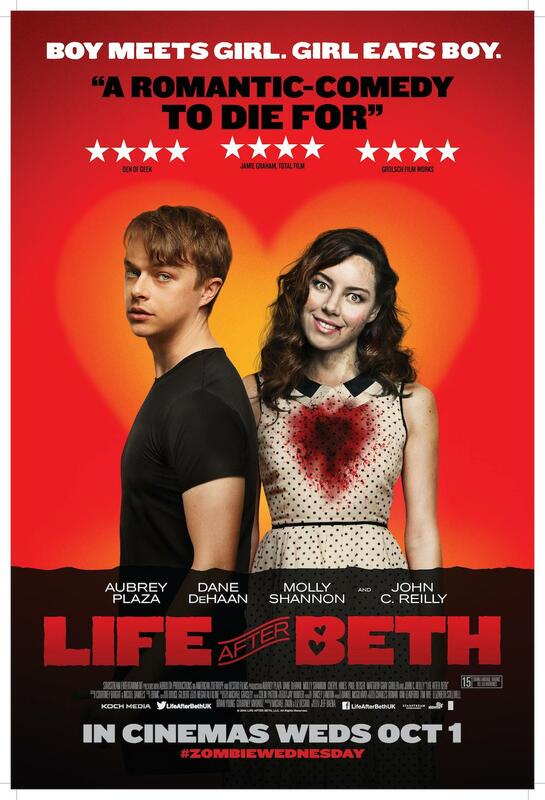 This film just did not work on any level for me and I found the last really terrible. The big reveal in the centre fell flat for me whilst the gender politics are a little troubling. But I actually found the film so awful I barely even noticed that. It’s so overlong too. The trailer park section just meanders on and on and goes nowhere. The couple of good female characters, the cop and the sister, are totally wasted. Related beermovie.net articles for you to check out: Worth Watching November 2013 and Worth Watching November 2011. What do you think of the Jurassic World trailer? So I’ve been a little absent the past few weeks, planning and then executing both wedding and honeymoon #2. Now that’s over with, tis time to think about movies a little. Thought I would ease myself in by sharing the first trailer for Jurassic World (2015) which debuted a month or so ago. Even with all the huge films on their way next year, this is still probably my most anticipated. I am a massive fan of all three J Park films and am well and truly excited for the Park to be open. There was a fair bit of flack thrown at the film when this trailer landed. A lot of that is I think your usual internet scorn. 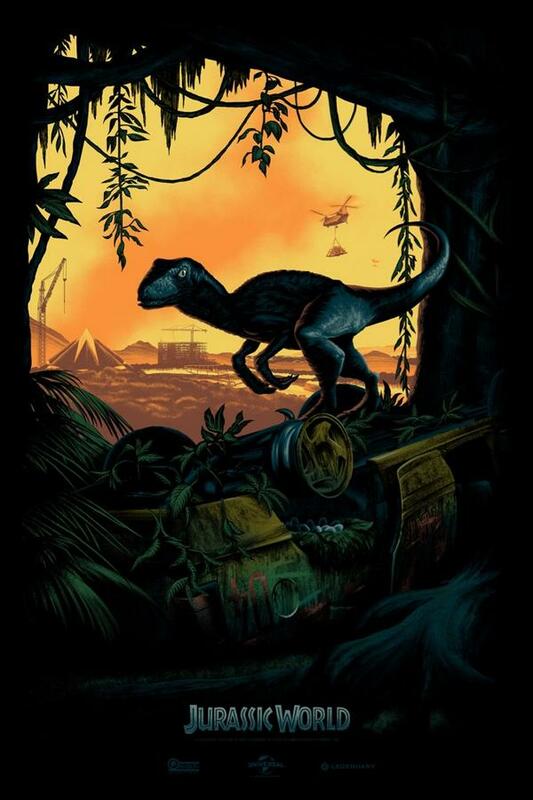 There is much to be excited about here and I think the trailer is pretty exciting and gives a lot of hope that the unlikely team of Colin Trevorrow, Chris Pratt and company could really reinvigorate the series. There is some nice humour, I love the fact that the park really is open in this one and there is an aquarium with a freakin murderous plesiosaur/crocodile type thing. Which is all one can ask for. The misgivings I do have, and they have been there since I heard of some of these plot points, centre around the use of genetic hybrid dinosaurs. It just seems so unnecessary to me, given the huge numbers of visually stunning and vicious dinosaurs out there that have not been used yet. But who knows, it could be an utterly inspired move by the writers. Genuinely keen to hear what you guys think of this trailer too. Hoping to reply to all the comments on here over the next few days and check out what you have all been up to as well. Hope all are well.